Our Lettings team provides on average over 35 valuations a week across Central London, and are committed achieving the prices valued. We pride ourselves on accurate pricing for our properties and this is demonstrated through having low void periods and a healthy portfolio. It is essential your chosen estate agents is able to show you like for like properties that they have rented in your area and within your properties specification. We would be delighted to come and meet with you, view your property/properties and have an informal chat. There is no obligation and we will follow up in writing with confirmation of pricing etc. 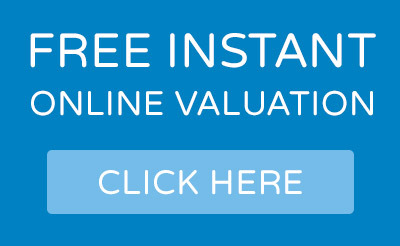 Call us on 0207 734 4062 or complete the rental valuation request form. We genuinely believe choosing an estate agent is a very personal decision; the people you meet in the agency are the same people who will be doing the viewings of your property and providing you with your tenants. We believe honesty and integrity is essential in this industry. Greater London Properties has a very low turn-over of staff meaning it’s extremely easy to build relationships and trust. We have the busiest footfall of any shop front agency in the West End, our longer opening hours, 6 days a week commitment ensure we are always available for viewings, plus our in house marketing team work hard to get properties in Local and National press as well as paid online advertising campaigns. Different fees will apply for each option and it’s easy to switch from one service to the other. For more information on Property Management please click here. In order to achieve the best possible price for your property it may be beneficial to do a few improvements, whether it be simple DIY jobs, a coat of paint of general de-cluttering, This should take place before any photography commences in order for your property to attract as much interest as possible. If you would like any advice or recommendations of local maintenance companies, please speak to your Lettings Manager. Furnishing your property can often increase the demand and interest – we work closely with a local interior design company who offer furnishing packages for potential tenants – often this is at the cost of the tenant. Greater London Properties advertise on 54 online portals, including Zoopla, Rightmove and Prime Location – 96% of applicants begin their search online therefore we also have additional advertising within our core areas. This ensures our properties are seen by every potential tenant. Within 24 hours of being instructed we are able to get your property on our website and on all portals through our comprehensive database – in addition your property is emailed to all relevant applicants. Due to the central location of our shop front we also get a number of walk in applicants therefore having your property in prime position in our shop front window is a huge advantage. Our in house marketing team are extremely proactive with local and national journalists, plus we regularly attend Property Fairs promoting our stock to potential applicants and companies. ll offers received by our agents are put into writing immediately with full details of offer price/move in date and any specific conditions the applicant/s have. We follow up with a phone call to discuss the applicant in a bit more detail with you. Ideally we like to respond to our applicant with an answer within 24 hours. If you accept the offer we will take a reservation fee up front from the applicant/s of 2 weeks rent in order to secure the agreement. We will then take the property off the market. A huge advantage of using Greater London Properties is our extremely vigilant referencing process on all potential tenants giving you piece of mind that whoever is living in your property is thoroughly investigated. Our in house team will request the appropriate forms and verify them all personally to ensure all documentation provided to us is authentic. Once they pass our process they will be sent to our external referencing company. This attention to detail is imperative to ensure good quality tenants which we pride ourselves on. If you would like to know more about referencing and exactly what we require from our applicants, please ask your agent to refer you to our Head of Referencing. Landlords: An inventory will need to be undertaken, this can be organised by us and is paid for by the tenant. We also require a professional clean of the property plus a Gas Safety Inspection and Portable Appliance test. Prior to the move in deadline, our admin team will send you the Short Term Tenancy Agreement for you to approve. Applicants: We will take the remainder of the deposit (4 weeks + 2 week reservation already taken); this is put directly into the Deposit Protection Service (DPS). We also take a month’s rent in advance and any additional fees. Once you have approved your contract, your tenants will come to our shop to sign contracts, collect keys and receive our local welcome pack to the area. The contract is sent to you at your chosen address. Congratulations on your new tenants.